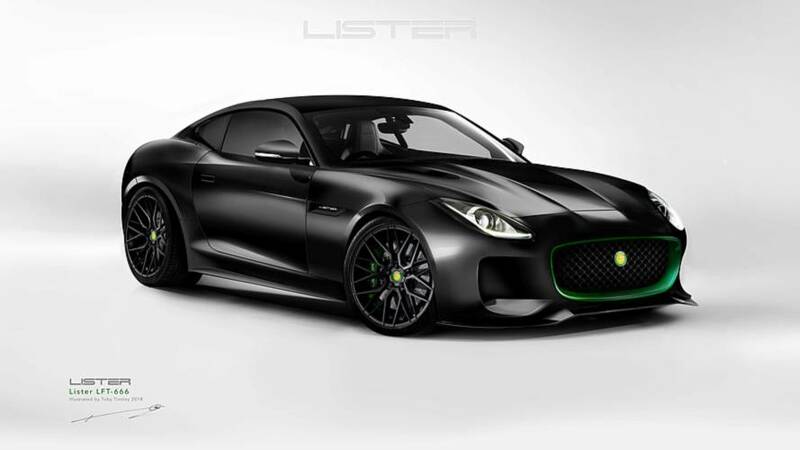 British sports car company Lister has announced that its new F-Type-based supercar will be called the "LFT-666." Not a reference to the Devil himself, but a statement of the tuned Jaguar’s 666 bhp output, the name will adorn Lister’s most powerful model ever. Originally revealed earlier this year in prototype form (when it was called "Thunder"), the LFT-666 has attracted record levels of interest from prospective buyers, who made more advanced orders than for any other model in the Cambridge-based manufacturer’s history. Now, the company has confirmed more about the car’s specification, including the addition of Lister’s own carbon fiber body panels, as well as a new grille and lightweight alloy wheels. Inside, meanwhile, there are new seats and a new steering wheel, while under the skin, the company has re-worked the suspension and, of course, upped the power output. All in all, Lister says the LFT-666 is lighter, faster and more aerodynamic than the 5-liter V8-powered F-Type Coupe on which it is based. Lawrence Whittaker, Lister’s CEO said: "Over the past six months the Lister Motor Company has been working hard on developing our tuning division, starting with modifying the Jaguar F-Type. Originally, we named the prototype the Lister 'Thunder’, however, due to future model lineage, all 99 production models will now be known as Lister LFT-666s. It’s a befitting title and one where an intrigued passer-by instantly knows the brake horsepower of each Lister model." 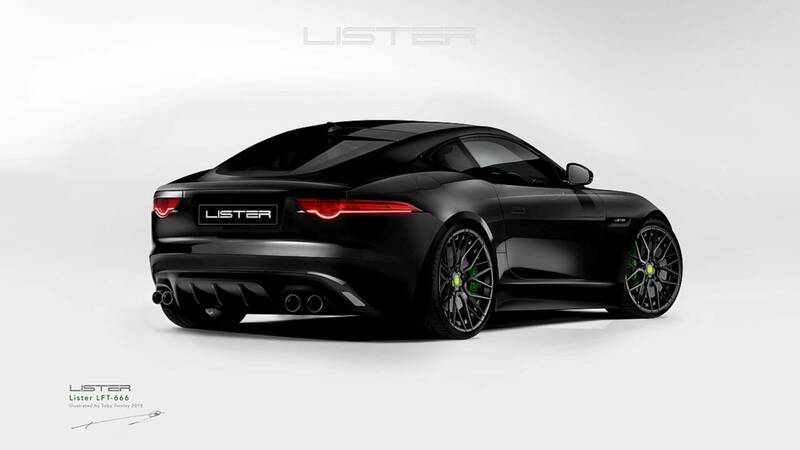 The first LFT-666 will be ready for delivery to its lucky owner on October 1, 2018, but those who can’t get their hands on one of the 99 examples will be able to have a standard F-Type fitted with Lister’s wheel and body enhancements at a cost of just under £10,000 (about $13,000 at current exchange rates). Lister will also be attempting to create the world’s fastest SUV, using a Jaguar F-Pace as the base. British specialist sports car maker - The Lister Motor Company - revealed its 666 bhp prototype based on the Jaguar F-Type earlier this year and subsequently took a record number of advanced orders. Since then, the limited production UK manufacturer has been busy refining and developing the F-Type even further, making the 666 bhp model the fastest, most powerful and luxurious Lister ever built in the legendary Cambridgeshire marque’s 65-year history.